Leadership- does not have to be shouted from the roof tops. Since I have immersed myself into the creative sector over the past few years, there is a lot I have learnt about leadership. I draw upon examples from the network of individuals I spend time with. 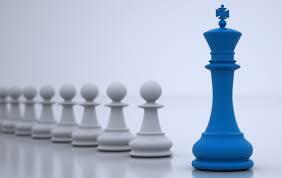 There are particular traits they possess which makes them stand out as leaders. Leadership is a term that can be heavily loaded as there are many definitions and interpretations of it. One of the main aspects I have noticed is that strong leaders do not have to be extroverted and have an outgoing personality. They quietly get on with the task in hand and let their actions speak for them. Robin Sharma sums it up very well ‘Leading without a title’. I strongly believe that everyone is a leader, but the ones who stand out are the ones who are constantly putting ideas into action and delivering on them. They do not say ‘I am an amazing leader’ or ‘I was the best leader on the project’. Leadership runs through many facets of our personal and business lives. It is something that can be learned and everyone has the potential to achieve it. Firstly, one needs a clear vision, definitive purpose in life and desire to carry it out. Based on these elements, leadership qualities will emerge organically. This is because, once you know what you want, you will not settle for anything less. You will always look for the best individuals to be around and utilise their skill set in a mutually beneficial relationship. Tip: Find individuals in your circle who are successful leaders and observe everything about them. There are many projects I am grateful to be involved in this year. Each of them requires me to ‘lead’ in some form. However, it will be highly off putting to fellow collaborators if in meetings I say ‘Hi I’m Rishii, the leader of this project’. Just reading it out loud sounds ridiculous. When you are working hard, taking responsibility and seeing the big picture in any project, the respect that is attached to leadership will be visible. “Some are born great, some achieve greatness, and some have greatness thrust upon them”. Feel free to provide your own Interpretation! The importance and beauty of mentoring- Mentors are for life. I write this post as I recently completed a mentoring qualification. The course got me thinking about the mentoring I have received over the years from some very special individuals. Their impact on my life has been huge. If there is a special mentor figure/s in your life who inspires you, stick to them and take every opportunity to learn from them. If there isn’t, make a list of inspiring individuals in your life and contact them! Your growth will be far greater if you connect with individuals who are consistently achieving. Jim Rohn said “You are the average of the five people you spend time with”. When I read this, I consciously looked at who I was spending time with and made adjustments accordingly. In other areas of my life outside of music, I seek to learn and spend time with highly successful individuals because I want to know what makes them excel. It is therefore important to be surrounded by a variety of individuals not just people in your field. Over the years, I have received some fabulous mentoring and advice from Priests, photographers, business men/women, personal development coaches, investment bankers, artistic directors and chefs. The list is endless! One may ask ‘why do you need so many mentors’? Acquiring specialist knowledge is the best form of knowledge. I am currently mentoring a young person who recently asked me a question relating to science. Science was never my forte in school so instead of giving him a convoluted answer, I simply provided him with a specialist who could assist him better than I ever could. There are some mentoring projects I am going to be involved in throughout the year. I am excited about sharing my experiences with young people. However, I am also looking forward to be learning from them as well. Anthony Robbins uses a brilliant acronym CAN I which means Constant And Neverending Improvement. Mentors have a way of opening up new possibilities to you. This is why the term ‘Guru’ is so important to Indian classical musicians. Guru’s not only impart knowledge, but carve out paths that we as students have not even thought of. Those paths can lead to some magical places, only if we free of ego and honestly strive to better ourselves every single day. Excited for the creative new year! 2014 was a magical year having got many projects off the ground, working with some fabulous artists/individuals and being able to learn and develop myself. I feel that the momentum is with me going into 2015. The variety of projects I was involved in last year was astonishing when I look back. YoTabla really took off with the photo-shoot, t-shirts, workshops, performances by students, easter retreat and socials. Artistically, I was involved in Lucy Stevens ‘Birdsong’ project which opened up my thinking towards improvisation and connecting with nature. Also, spending time and learning from my tabla hero Ustad Zakir Hussain in San Francisco. Performing and doing a workshop in California there was phenomenal and very special. The big one was the Melodies on the Brink project having secured Arts Council Funding and producing a show from scratch. It was a new experience managing and producing the show. It was one of the most challenging aspects I have faced in my career to date. I got a lot out of it and learned many lessons. We had a sell out show which was a testament to everyone involved. With regard to professional development, I attended many courses relating to marketing, goal setting, intellectual property, music education and so on. These courses definitely played a huge role in my creative career, although I was not aware of it at the time I was sitting in those workshops! Setting up CEMENT with my good friends from the creative sector Bob Christer and John Kirby was a massive achievement as we really wanted to bring Leicester’s creative community together and make stuff happen(our motto)! The mentoring qualification was fantastic and I got a lot out of it. I am very thankful to Pedestrian Charity, Leicester for providing this training. I feel that I am in a much better position now to guide young creatives, having done some mentoring last year and seeing results of the individuals I worked with. It is something I definitely want to do more of in 2015. I have already set my goals for the year. I cannot stress enough the importance of self reflection and being honest with yourself. I love reading personal development books and have a thirst for constantly improving. I noticed when I applied even a minuscule of the many principals learnt in these books, the impact was HUGE! For example, the above milestones reached was only possible because I had the DESIRE and VISION to be a collaborative artist, manage my own projects and positively impact the individuals I come across. This is just one aspect of manifestation. The rest is all about strategy, surrounding yourself with successful individuals and having the flexibility to constantly tweak your approach so that you achieve a positive result. I will talk more about this in future posts. 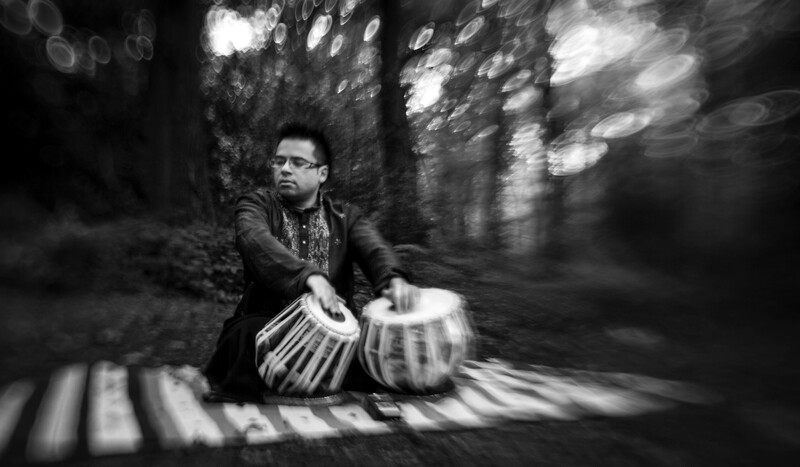 One of the projects I am currently working on this year is a unique collaboration of YoTabla! with ADAA (Aarti’s Dance and Arts Academy). AADA was recently set up by my good friend and exceptional dancer Aarti Lodhia. Both of our sets of students are going to collaborate for a performance in November. We both strongly believe in supporting young people who have a passion for Indian classical music and dance. This is the first time we are doing something like this, so we will definitely keep you updated on our progress throughout the year. Have a blessed 2015 and I look forward to sharing more tips with you over the next 12 months.